Blake and Cally and on a nameless world being used as a hideaway by Sarkoff, ex-President of the planet Lindor, and his daughter Tyce. Lindor is on the brink of civil war and Blake fears that the Federation will use the war as an excuse to take control of the planet. 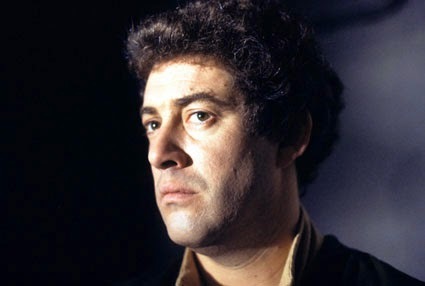 Blake wants convince Sarkoff to return to his people and re-unite them. However Sarkoff is now a broken man having been thoroughly defeated in the Presidential election that resulted in his exile and has no desire to return home. Meanwhile, the Liberator intercepts a distress call from a nearby space craft. Although suspicious of it, Gan agrees to go over to the ship and investigate. He is captured by the ship's crew and they use him to gain access to the Liberator and take over the ship. Back on the planet, Sarkoff is still refusing to leave, even after Blake explains that the Presidential election was rigged by the Federation in order to remove Sarkoff from power. 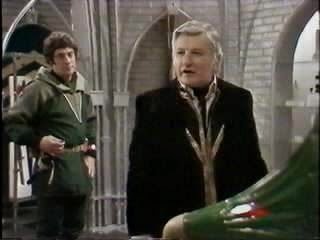 Blake forces him to agree to return to his people by threatening to smash Sarkoff's prized collection of 20th Century antiques. 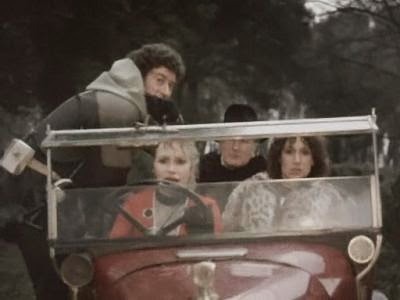 Blake, Cally, Sarkoff and Tyce teleport to the Liberator but are quickly captured by the invaders from the other ship. The invaders are smugglers and bounty hunters called Amagons. Their leader, Tarvin is going to hand over Blake's crew and the Liberator to the Federation for a large amount of money. Jenna, who knows Tarvin from her smuggling days, appears to side with the Amagon invaders after they take the ship and helps to keep the rest of the crew locked up. However, Jenna is really tricking Tarvin and is secretly disposing on the Amagon pirates one by one. She then releases Blake. Sarkoff, meanwhile confronts Tarvin who has threatened Tyce and, following a timely intervention by Blake, Sarkoff kills Tarvin. With the takeover ended, the Liberator carries on to Lindor. 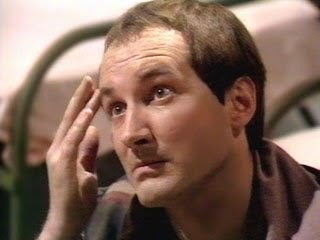 Following his experiences with Blake, Sarkoff has decided that returning to his people and uniting them to fight the Federation is the right thing to do after all. Blake: Has studied natural history but his history of Earth in the 20th Century is somewhat lacking. He seems to be attracted to Tyce and she to him but there is no opportunity for their relationship to develop. Avon: Like Vila, he doesn't trust the stranded ship. He's one of the first to be captured when the Amagons board the ship. Avon seems to have some basic lock picking skills as, much to Vila's surprise, he is able to unlock the door of the room where the crew are all held prisoner. Jenna: Jenna appears to turn on the crew once the Amagons invade and take over the Liberator. 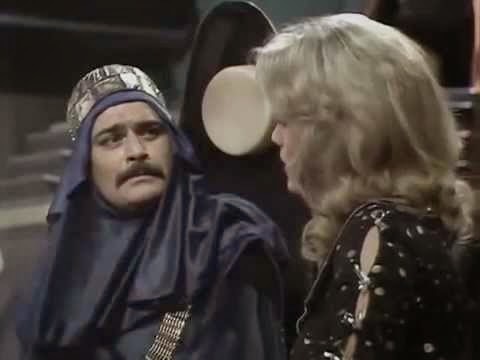 She knew their leader, Tarvin, some years earlier and the implication is that they had a relationship at the time. If Tarvin wants, he can keep Jenna when he turns the rest of the crew over to the Federation. Of course, Jenna defection is just a ruse to allow the freedom of the ship and give her the opportunity to free the others. Her performance is convincing though as the rest of the crew, other than Blake, are entirely convinced by it. 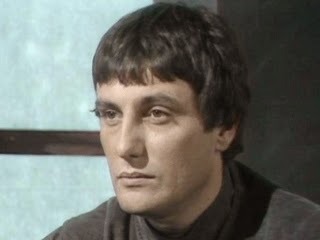 Vila: Doesn't like the look of the stranded space ship (a feeling which is ultimately proved right) and is quite pleased when Avon actually agrees with him. He's the last person on the ship to be captured and is very unhappy when he is told by Zen to make a 'personal investigation' to find out what had happened to the rest of the crew. 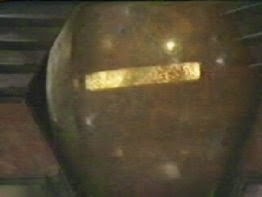 Later, when locked up with the rest of the crew he struggles to unlock an explosive 'necklace' that has been placed on each of the crew. He'd much rather be trying to unlock the door but, much to his surprise, Avon has already done that. Gan: Offers to go over to the supposedly stranded space craft to see if they really need help. If it's not then he's happy for the Liberator to destroy the other ship with him on board. As it happens, he's overpowered when he does go to the other ship and his voice is faked in order for the Amagons to gain access to the Liberator. Being used in this away upsets Gan somewhat and he's quite keen to get his hands on the pirates. Unfortunately they'll all either dead or unconscious by the time he's free. 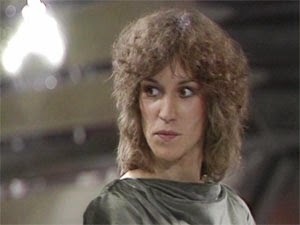 Cally: Whilst on the planet's surface she uses her telepathy on several occasions in order to communicate with Blake as they sneak into Sarkoff's home. She talks with Sarkoff about an ambassador from her home planet of Auron that was sent to Lindor to negotiate a treaty. She says that the treaty never came about and that the ambassador never returned to Auron because he had failed. This mirrors Cally's own decision not to return home after she failed to help the freedom fighters she was working with when Blake first met her. It's obviously a cultural thing amongst her people that failure means self-imposed exile. Zen: Is able recognise when a crew member's voice is being faked such as when 'Gan' radios from the other ship to ask to be teleported back to the Liberator. Unfortunately this ability didn't prevent the ship from being taken over anyway. It seems that the Liberator does not have any kind of security scanners or cameras anywhere on the ship as Zen is unable to tell first Vila, then Blake what has happened to the rest of the captured crew. This seems rather strange for such an advanced ship but it may simply be that, as in some earlier episodes, Zen is deliberately choosing not to get involved in what's happening. This is a very enjoyable episode although it does feel like a episode of two halves. The first half where Blake tries to convince Sarkoff to come with him is much more interesting the second half which focuses on the space pirates and their take over of the ship. Where the first half really succeeds is in the lengthy dialogue scenes between Blake and Sarkoff. Both Gareth Thomas and TP McKenna as Sarkoff really excel here. McKenna in particular is excellent as the weary ex-President who just wants to be left in peace and one can't help but feel sorry for him. Once on board the Liberator, Sarkoff is sidelined somewhat by Tarvin and the Amagon pirates and they really aren't as interesting It's also rather unfortunate that the first non-white characters in the series are a) the bad guys and b) given costumes that make them look they like extras on Lawrence of Arabia. All of the regulars get a decent amount to do in this episode too with the ladies in particular getting much more to than usual. 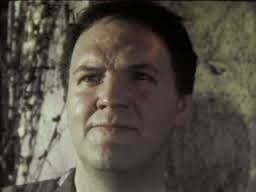 By all accounts the script editor Chris Boucher, who would later become the main writer on the series, had a hand in the writing of this episode and it certainly feels different so this bodes well for the future. Next week, Avon becomes God and things are set in motion for the season finale.